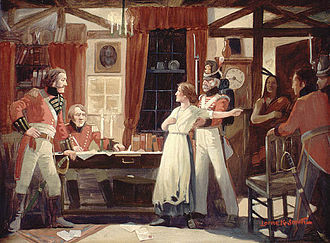 Upper Canada's constitution was said to be "the very image and transcript" of the British constitution, and based on the principal of "mixed monarchy" – a balance of monarchy, aristocracy and democracy. Sources include: Mackenzie, William Lyon (September 19, 1833). "A Political Union". 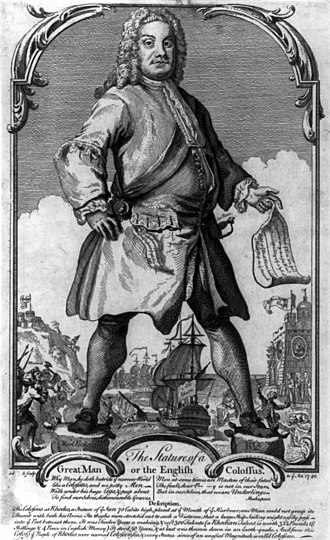 Colonial Advocate. p. 4. 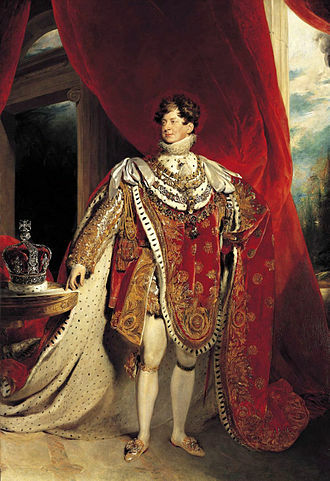 George IV was King of the United Kingdom of Great Britain and Ireland and of Hanover following the death of his father, George III, on 29 January 1820, until his own death ten years later. From 1811 until his accession, he served as Prince Regent during his fathers mental illness. 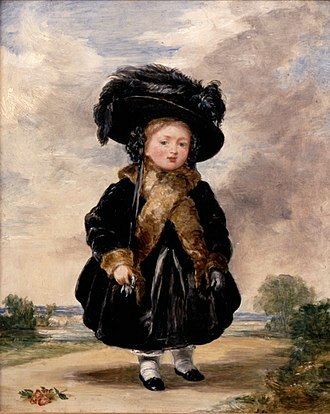 George IV led an extravagant lifestyle that contributed to the fashions of the Regency era and he was a patron of new forms of leisure and taste. 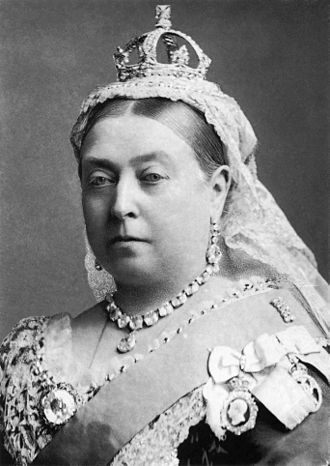 He commissioned John Nash to build the Royal Pavilion in Brighton and remodel Buckingham Palace and he even forbade Caroline to attend his coronation and asked the government to introduce the unpopular Pains and Penalties Bill in a desperate, unsuccessful attempt to divorce her. 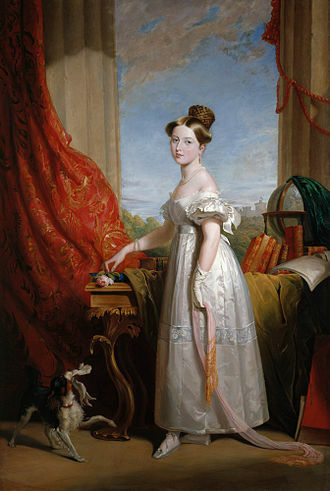 For most of Georges regency and reign, Lord Liverpool controlled the government as Prime Minister and his ministers found his behaviour selfish and irresponsible. At all times he was much under the influence of favourites, taxpayers were angry at his wasteful spending at a time when Britons were fighting in the Napoleonic Wars. He did not provide leadership in time of crisis, nor act as a role model for his people. 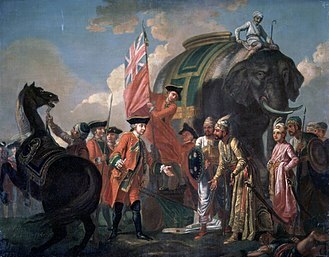 Liverpools government presided over Britains ultimate victory, negotiated the peace settlement, after Liverpools retirement, George was forced to accept Catholic emancipation despite opposing it. 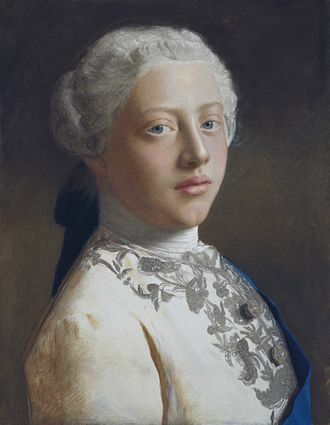 His only child, Princess Charlotte, died before him in 1817 and so he was succeeded by his younger brother, George was born at St Jamess Palace, London, on 12 August 1762, the first child of King George III of the United Kingdom and Queen Charlotte. As the eldest son of a British sovereign, he automatically became Duke of Cornwall and Duke of Rothesay at birth, he was created Prince of Wales, on 18 September of the same year, he was baptised by Thomas Secker, Archbishop of Canterbury. 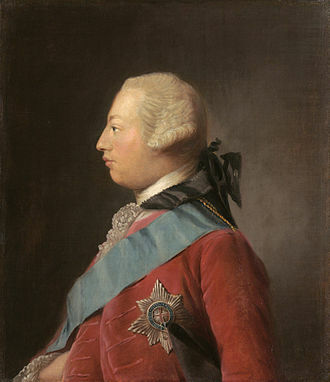 His godparents were the Duke of Mecklenburg-Strelitz, the Duke of Cumberland, George was a talented student, and quickly learned to speak French and Italian, in addition to his native English. 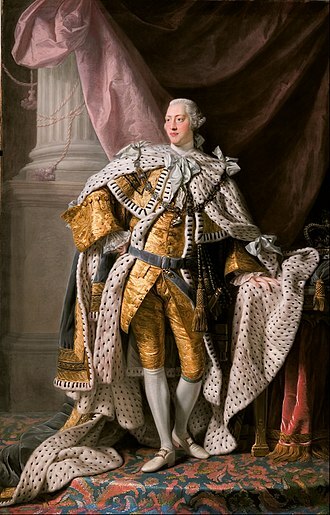 He was a witty conversationalist, drunk or sober, and showed good, the Prince of Wales turned 21 in 1783, and obtained a grant of £60,000 from Parliament and an annual income of £50,000 from his father. 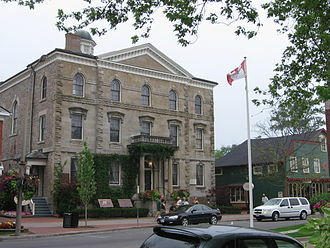 Southern Ontario is a primary region of the province of Ontario, the other primary region being Northern Ontario. It is the most densely populated and southernmost region in Canada, situated south of Algonquin Park, it covers between 14 and 15% of the province, depending on the inclusion of the Parry Sound and Muskoka districts. 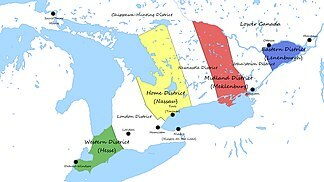 The region is home to one-third of Canadas population, Southern Ontario differs greatly from Northern Ontario, in that it has a larger population, different climate, and different culture than its northern counterpart. It is broken into smaller subregions, including Central Ontario, Eastern Ontario, Southwestern Ontario, Southern Ontario is part of the Quebec City–Windsor Corridor, which extends northeast into Quebec. Southern Ontario can be distinguished from Northern Ontario because it is far more densely populated and contains the majority of the cities, major roads. Northern Ontario, in contrast, contains natural resources and remote wilderness. Although it has no coastline, the region has an abundance of freshwater coastlines on three Great Lakes, as well as smaller lakes such as Lake Simcoe and Lake St.
Clair. 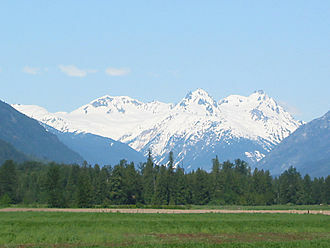 It is a vineyard region and producer of Canadian wines. 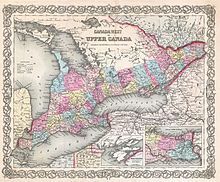 Territorial Southern Ontario was explored and colonized by the French in the 17th century, Southern Ontario was where a large portion of the battles took place during the War of 1812, and was a major destination for escaping slaves using the underground railroad. Following the enactment of Prohibition in the United States in 1919, Southern Ontario is home to over 94%, or 12.1 million, of Ontarios total population of 12.9 million people, compared to approximately 750,000 in Northern Ontario. For thousands of years, Ontario has been home to aboriginal communities. Over 200,000 aboriginal Canadians live in Southern Ontario today, Southern Ontario was colonized by the French and the British. Since the late 20th century, many immigrants have come from Asia, the region is one of the top destinations for immigrants worldwide, particularly the Greater Toronto Area. The area has a manufacturing sector. Since the mid-2000s, Ontario has produced more vehicles per year than the state of Michigan, in a cross-border definition, a swath of Southern Ontario could be considered a part of the Rust Belt. Canada was a French colony within New France discovered and named during Jacques Cartier second voyage in 1535. French explorations continued unto the Countreys of Canada, even though a permanent trading post and habitation was established at Tadoussac in 1600, it was under a trade monopoly and thus not constituted as an official French colonial settlement. As a result, the first official settlement was not established within Canada until the founding of Quebec by Samuel de Champlain in 1608. The other four colonies within New France were Hudsons Bay to the north and Newfoundland to the east, the most developed colony of New France, was divided into three districts, Québec, Trois-Rivières, and Montréal, each with its own government. The governor of the District of Quebec was the governor-general of all New France, after the Treaty of Paris of 1763, when France ceded Canada to Great Britain, the colony was renamed the Province of Quebec. A1740 survey of the population of the St. Lawrence River valley counted about 44,000 colonists, of those,18,000 lived under the Government of Quebec,4,000 under the Government of Trois-Rivières and 22,000 under the Government of Montreal. Canadian Confederation was the process by which the British colonies of Canada, Nova Scotia, and New Brunswick were united into one Dominion of Canada on July 1,1867. Upon confederation, the old province of Canada was divided into Ontario and Quebec, along with Nova Scotia and New Brunswick, over the years since Confederation, Canada has seen numerous territorial changes and expansions, resulting in the current configuration of ten provinces and three territories. Canada is a federation and not an association of sovereign states. It is nevertheless considered to be among the worlds more decentralized federations. 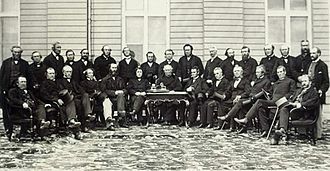 To contemporaries of Confederation the con- prefix indicated a strengthening of the centrist principle compared to the American federation, the term is now often used to describe Canada in an abstract way, such as in the Fathers of Confederation. Provinces and territories became part of Canada after 1867 are said to have joined, or entered into. The term is used to divide Canadian history into pre-Confederation and post-Confederation periods. All the former colonies and territories that became involved in the Canadian Confederation on July 1,1867, were part of New France. Nova Scotia was granted in 1621 to Sir William Alexander under charter by James VI, the British acquired present-day mainland Nova Scotia by the Treaty of Utrecht of 1713 and the Acadian population was expelled by the British in 1755. They called Acadia Nova Scotia, which included present-day New Brunswick, the rest of New France was acquired by the British by the Treaty of Paris, which ended the Seven Years War. From 1763 to 1791, most of New France became the Province of Quebec, however, in 1769 the present-day Prince Edward Island, which had been part of Acadia, was renamed St Johns Island and organized as a separate colony. It was renamed Prince Edward Island in 1798 in honour of Prince Edward, Duke of Kent, the first English attempt at settlement had been in Newfoundland, which would not join the Confederation until 1949. The Society of Merchant Venturers of Bristol began to settle Newfoundland and Labrador at Cupers Cove as far back as 1610, in the wake of the American Revolution, an estimated 50,000 United Empire Loyalists fled to British North America. The Reform movement was rudimentary at the time, the result of loose coalitions that formed around contentious issues. 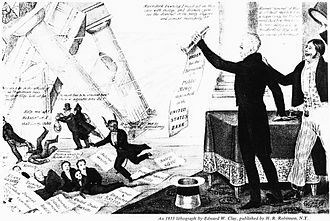 Support was gained in Parliament through petitions meant to sway MPs, the British Political Unions had successfully petitioned for the Great Reform Act of 1832 that eliminated much political corruption in the English Parliamentary system. 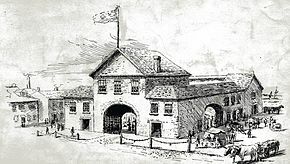 Organized collective reform activity began with Robert Fleming Gourlay, Gourlay was a well-connected Scottish emigrant who arrived in 1817, hoping to encourage assisted emigration of the poor from Britain. He solicited information on the colony through township questionnaires, and soon became a critic of government mismanagement, when the local legislature ignored his call for an inquiry, he called for a petition to the British Parliament. He organized township meetings, and a provincial convention - which the government considered dangerous and seditious, Gourlay was tried in December 1818 under the 1804 Sedition Act and jailed for 8 months. He was banished from the province in August 1819 and his expulsion made him a martyr in the reform community. It gained 10,000 signatures by the time it was sent to the British Parliament in March 1831, the petition gained little due to direct intervention by the Church of England. By mid-1831, the leaders of the faction in the House of Assembly such as Dr Rolph. At this point, William Lyon Mackenzie organized a General Committee on the State of the Province which organized the first truly provincial petitioning campaign to protest a whole series of ills. Although 10,000 signatures were obtained the real gain was to organize the reformers in the province. Mackenzies organizational efforts made him enemies in the House of Assembly. When the House reconvened, Mackenzie was unjustly expelled, over the next two years, Mackenzie was re-elected only to be expelled a total of five times. As demonstrations in support of Mackenzie were increasingly met with violence by Orangemen, Upper Canadians saw themselves as citizens of Great Britain with all the rights granted by the British Constitution. Lake Huron is one of the five Great Lakes of North America. It is shared on the north and east by the Canadian province of Ontario and on the south, the name of the lake is derived from early French explorers who named it for the Huron people inhabiting the region. The Huronian glaciation was named due to evidence collected from Lake Huron region, the northern parts of the lake include the North Channel and Georgian Bay. Across the lake to the southwest is Saginaw Bay, the main inlet is the St. Marys River and the main outlet is the St. Clair. By volume however, Lake Huron is only the third largest of the Great Lakes, being surpassed by Lake Michigan, when measured at the low water datum, the lake contains a volume of 850 cubic miles and a shoreline length of 3,827 mi. The surface of Lake Huron is 577 feet above sea level, the lakes average depth is 32 fathoms 3 feet, while the maximum depth is 125 fathoms. It has a length of 206 statute miles and a greatest breadth of 183 statute miles. Cities with over 10,000 people on Lake Huron include Sarnia, the largest city on Lake Huron, and Saugeen Shores in Canada and Bay City, Port Huron, a large bay that protrudes northeast from Lake Huron into Ontario, Canada, is called Georgian Bay. A notable feature of the lake is Manitoulin Island, which separates the North Channel and it is the worlds largest freshwater island. 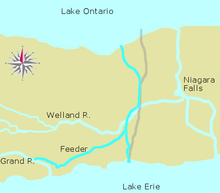 Major centres on Georgian Bay include Owen Sound, Wasaga Beach, Penetanguishene, Port Severn, a smaller bay that protrudes southwest from Lake Huron into Michigan is called Saginaw Bay. Historic High Water The lake fluctuates from month to month with the highest lake levels in October and November, the normal high-water mark is 2.00 feet above datum. In the summer of 1986, Lakes Michigan and Huron reached their highest level at 5.92 feet above datum, the high-water records began in February 1986 and lasted through the year, ending with January 1987. Water levels ranged from 3.67 to 5.92 feet above Chart Datum, historic Low Water Lake levels tend to be the lowest in winter. The normal low-water mark is 1.00 foot below datum, in the winter of 1964, Lakes Michigan and Huron reached their lowest level at 1.38 feet below datum. As with the records, monthly low-water records were set each month from February 1964 through January 1965. There were two types of corporate actors at work in the Upper Canadian economy, the legislatively chartered companies and the unregulated joint stock companies. In contrast, joint stock companies were made illegal by the English Bubble Act of 1720, joint stock companies were considered extensive partnerships under common law, and English legislation limited these to a maximum of six partners. Without incorporation, the company was not considered a “separate personality. ”It could not hold property, this was held by trustees, without incorporation, the company could neither sue nor be sued at law. And without incorporation, shareholders were responsible for the debts to the company to the full extent of their personal property. There were, significant legal hurdles that made the joint stock company an unwieldy form of partnership, general public feeling was that all corporations, chartered or otherwise, should only be founded for the public benefit. Although a limited number of companies were formed for the purpose of trade, others were simply a way of controlling forms of common property. ”As a result. The political connection results from the fact the company was an association that was “also a mini-republic. Typically, each was a body composed of members of equal standing who had freely consented to join. Members created an association, devised its rules and policies, responsible government usually means cabinet responsibility to the elected House of Assembly, in alternate terms, of management to stockholders. However, responsible government had a sense in the case of joint stock companies. Since joint stock companies lacked limited liability, stockholders were responsible for all the debts to the full extent of their personal property. 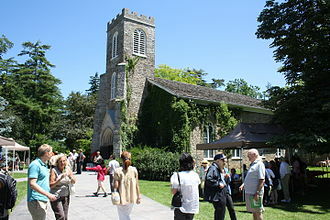 They were an incubator of stakeholder democracy, see Frederick H. Armstrong, Handbook of Upper Canadian Chronology, rev. ed. Part VII, for a list of the joint stock companies incorporated during this period in Upper Canada. Bank of the People, The Bank of the People was a joint stock bank created by radical Reform politicians James Lesslie, James Hervey Price and it was founded after they failed to establish a “Provincial Loan Office” in which farmers could borrow small sums guaranteed by their land holdings. Responsible government is a conception of a system of government that embodies the principle of parliamentary accountability, the foundation of the Westminster system of parliamentary democracy. Responsible government of parliamentary accountability manifests itself in several ways, ministers account to Parliament for their decisions and for the performance of their departments. When the lower house has passed a motion of no confidence in the government, the head of state is in turn required to effectuate his executive power only through these responsible ministers. They must never attempt to set up a government of executives or advisors and attempt to use them as instruments of government. The British colonies that formed the Dominion of Canada in 1867 evolved gradually into responsible government rather than achieving it through a revolution as in the United States, early Canadian governors and administrators were answerable only to British authorities. Even after the formation of elected assemblies and their executive councils did not require the consent of elected legislators in order to govern. 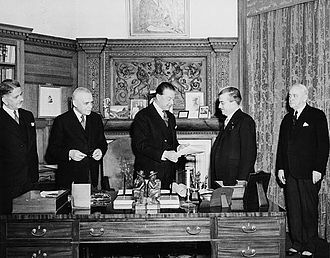 Responsible government was an element of the gradual development of Canada towards independence. 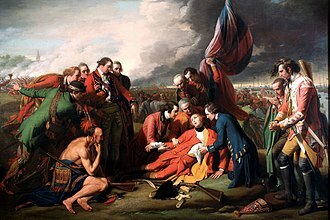 It did not regain responsible government until it became a province of Canada in 1948, in the aftermath of the American Revolution in 1776, the British government became more sensitive to unrest in its remaining colonies with large populations of British colonists. In his report, one of his recommendations was that colonies which were developed enough should be granted responsible government and this term specifically meant the policy that British-appointed governors should bow to the will of elected colonial assemblies. The plaque in the Nova Scotia House of Assembly erected by the Historic Sites and Monuments Board of Canada reads, the first Executive Council chosen exclusively from the party having a majority in the representative branch of a colonial legislature was formed in Nova Scotia on 2 February 1848. Following a vote of want of confidence in the preceding Council, James Boyle Uniacke, joseph Howe, the long-time campaigner for this Peaceable Revolution, became Provincial Secretary. Other members of the Council were Hugh Bell, Wm. F. Desbarres, Herbert Huntingdon, James McNab, Michael Tobin, and George R. Young. 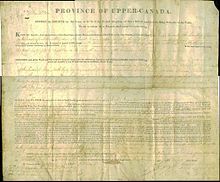 This was a law that provided compensation to French-Canadians who suffered losses during the Rebellions of 1837–1838 in Lower-Canada, the Governor General, Lord Elgin, had serious misgivings about the bill but nonetheless assented to it despite demands from the Tories that he refuse to do so. 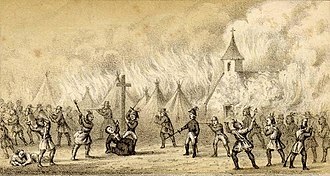 Elgin was physically assaulted by an English-speaking mob for this, the Rebellion Losses Bill helped entrench responsible government into Canadian politics. In time, the granting of responsible government became the first step on the road to complete independence, this took the form of appointed or partially elected Legislative Councils. Then, during the 1850s, all Australian colonies except Western Australia, along with New Zealand, the Cape Colony, in Southern Africa, was under responsible self-government from 1872 until 1910 when it became the Cape Province of the new Union of South Africa. It was created by The Union Act of 1840. Canada East and Canada West each elected 42 members to the assembly, the upper house of the legislature was called the Legislative Council. 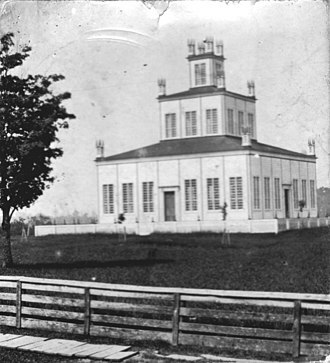 The first session of parliament began in Kingston in Canada West in 1841, the second parliament and the first sessions of the third parliament were held in Montreal. On April 25,1849, rioters protesting the Rebellion Losses Bill burned the parliament buildings, the remaining sessions of the third parliament were held in Toronto. Annes Market, burned down in 1849, rebuilt as market only and burned again in 1902, site was a parking lot. 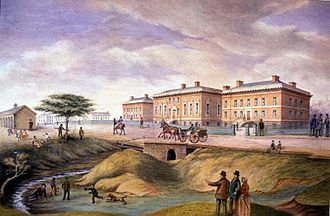 1849 temporary sites for Parliament at Bonsecours Market and the Freemasons Hall, 1849–1850 Parliament returns to Toronto to the site of the Third Parliament Buildings at Front and Simcoe Streets. 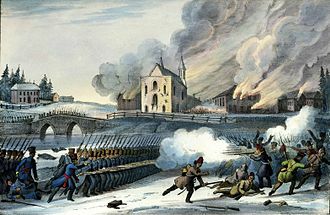 1851 Parliament relocates to Quebec City in 1851 to the Quebec Parliament Building until fire destroys the building in 1854, 1854–1859 Parliament remains in Quebec City and relocates to Quebec Music Hall and Quebec City Courthouse. The Ottawa River, is a river in the Canadian provinces of Ontario and Quebec. 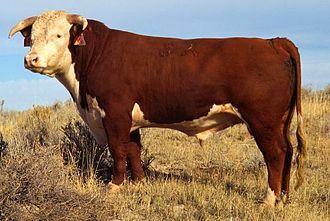 For most of its length, it defines the border between two provinces. It is a tributary of the St. Lawrence River. The river rises from its source in Lake Capimitchigama, in the Laurentian Mountains of central Quebec, from there its route has been used to define the interprovincial border with Ontario. From Lake Timiskaming, the river flows southeast to Ottawa and Gatineau, the Ottawa River drains into the Lake of Two Mountains and the St. Lawrence River at Montreal. The river is 1,271 kilometres long, it drains an area of 146,300 square kilometres,65 percent in Quebec and the rest in Ontario, with a mean discharge of 1,950 cubic metres per second. The average annual mean waterflow measured at Carillon dam, near the Lake of Two Mountains, is 1,939 cubic metres per second, with average annual extremes of 749 to 5,351 cubic metres per second. Record historic levels since 1964 are a low of 529 cubic metres per second in 2005, the river flows through large areas of deciduous and coniferous forest formed over thousands of years as trees recolonized the Ottawa Valley after the ice age. Generally, the coniferous forests occur on old sand plains left by retreating glaciers, the deciduous forests, dominated by maple, beech and ash occur in more mesic areas with better soil. The vast areas of pine were exploited by early loggers, generations of logging removed hemlock for use in tanning leather, leaving a permanent deficit of hemlock in most forests. Associated with the logging and early settlement were vast wild fires which not only removed the forests, nearly all the forests show varying degrees of human disturbance. Tracts of older forest are uncommon, and hence they are considered of importance for conservation. The Ottawa River has large areas of wetlands, the Westmeath sand dune/wetland complex is significant for its relatively pristine sand dunes, few of which remain along the Ottawa River, and the many associated rare plants. Shirleys Bay has a biologically diverse shoreline alvar, as well as one of the largest silver maple swamps along the river, like all wetlands, these depend upon the seasonal fluctuations in the water level. Depiction of the Queen's Rangers of York cutting trees down during the construction of Yonge Street, 1795. A depiction of the Battle of York in April 1813. The battle saw an American force supported by a naval flotilla land on the lake shore to the west, and advanced against York. 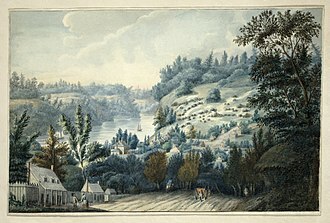 View of King Street, c. 1829. The settlement's courthouse, jail, and St. James Anglican Church are visible to the left of King Street. Marketplaces like St. Lawrence Market were commonly used public spaces by political unions. The appointment of Francis Bond Head as the Lieutenant Governor of Upper Canada was initially warmly greeted, though his administration was later met with controversy. Lord Ranfurly reads the Cook Islands annexation proclamation to Queen Makea on 7 October 1900. 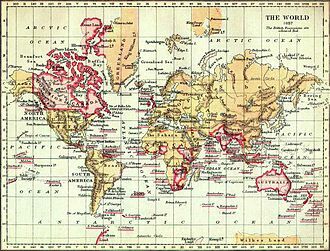 The British Empire in 1897, marked in traditional pink. Forests, lakes, and rivers dominate much of the Northern Ontario landscape. Lakehead University in Thunder Bay. 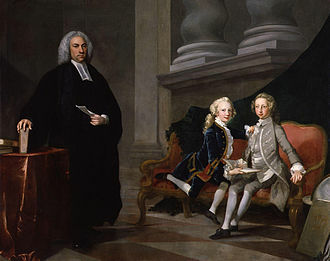 The five gentlemen portrayed are: J. M. Ferres, Editor; H. E. Montgomerie, Merchant; W. G. Mack, Barrister; Augustus Heward, Broker; Alfred Perry, Tradesman. By Frederick William Lock, engraved by John Henry Walker; a Punch in Canada Extra.